Viking Bird brooch, very worn but still traces of niello inlay. 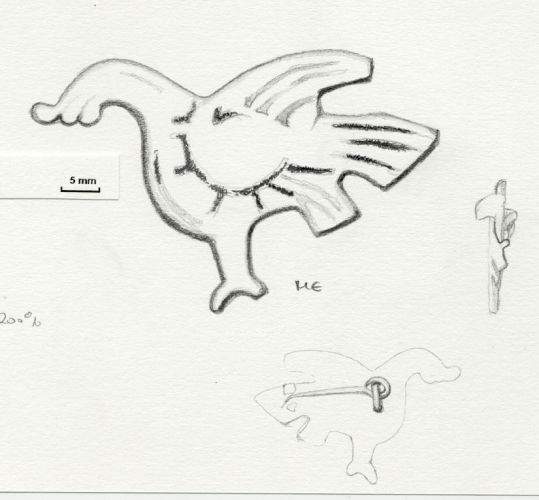 This type of brooch is found in Denmark and England and dates to the 11th century (Pedersen 1999). For similar examples, see NLM4341 and NMS-E7F720; different, unconventional examples are BERK-CEBC67 and SF-AD5FA7. Included in Kershaw 2010 as catalogue no. 498.